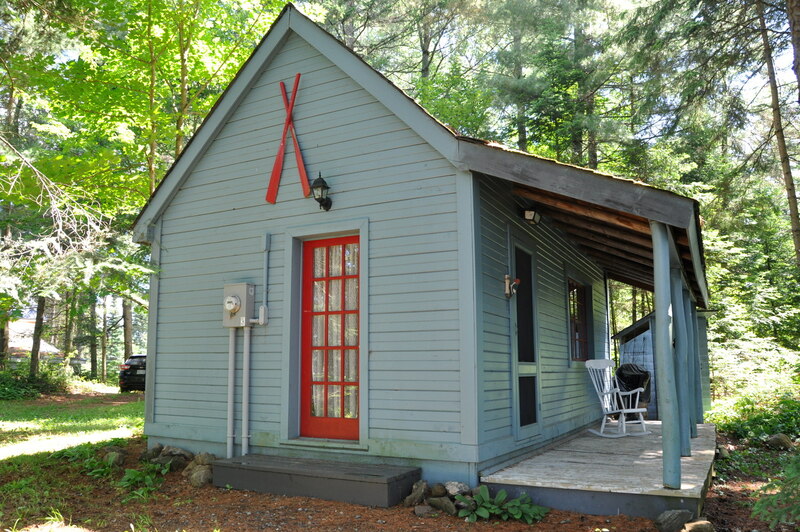 Welcome to this lovely and unique 1,000 sq. 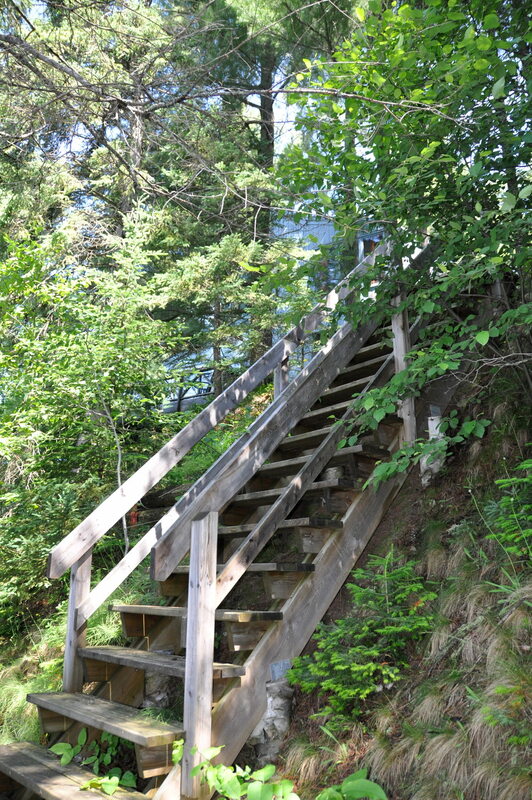 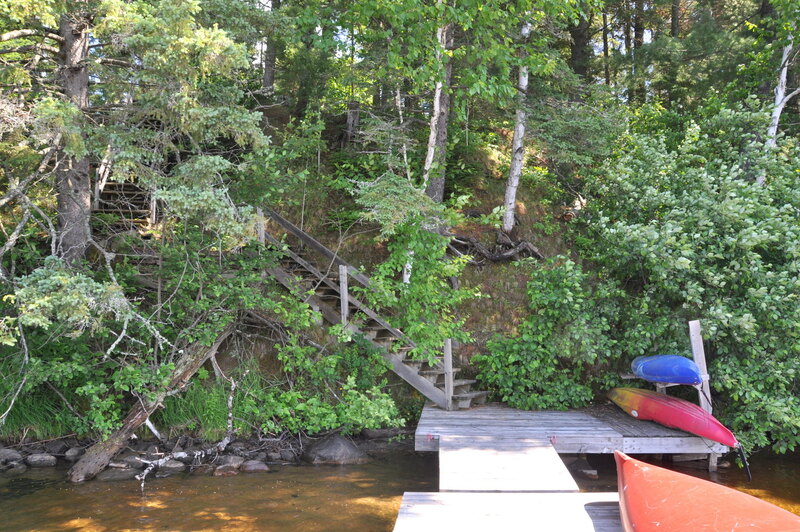 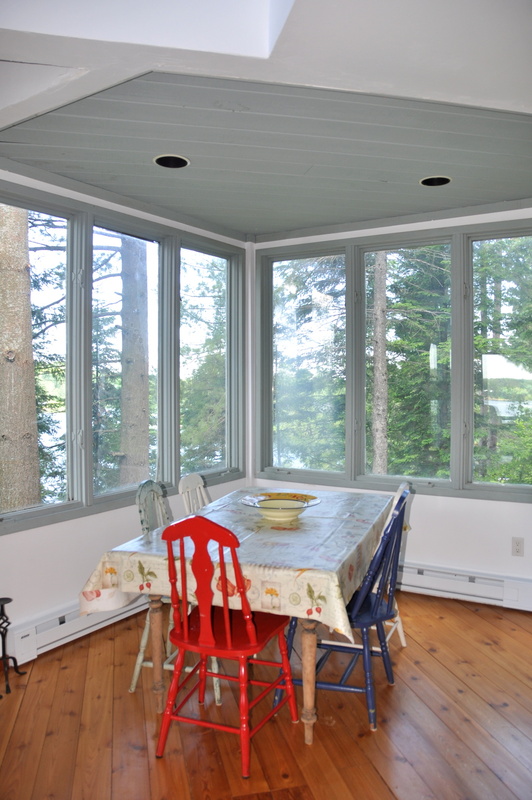 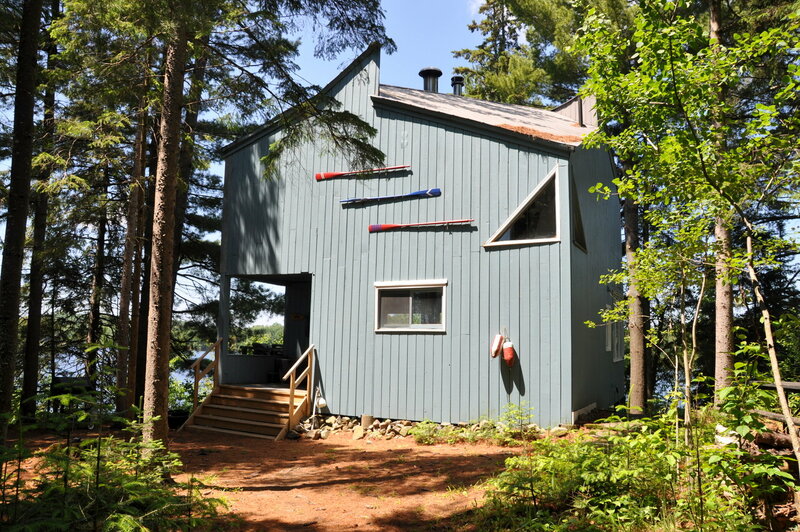 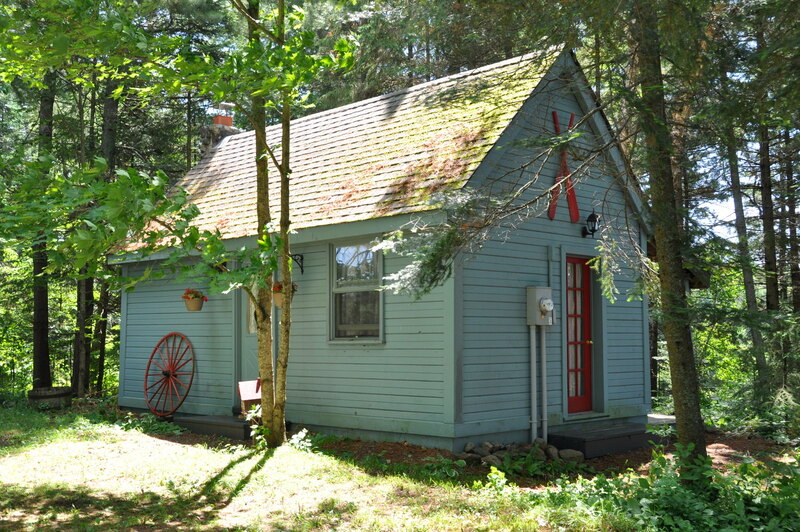 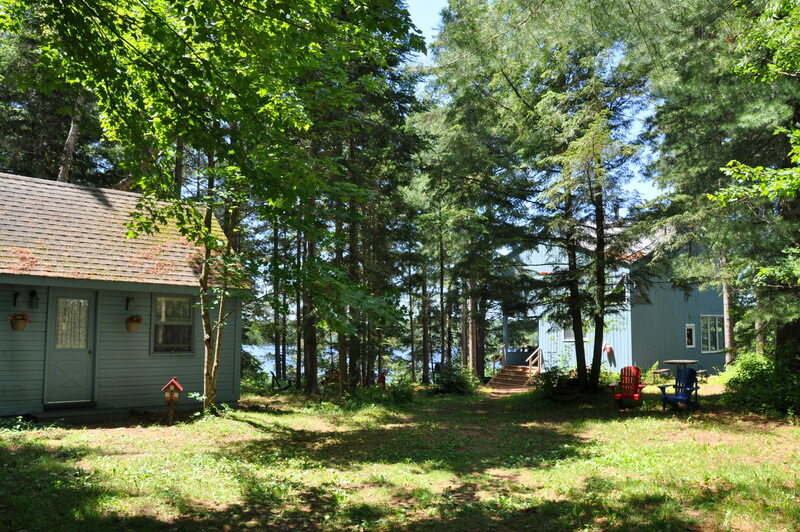 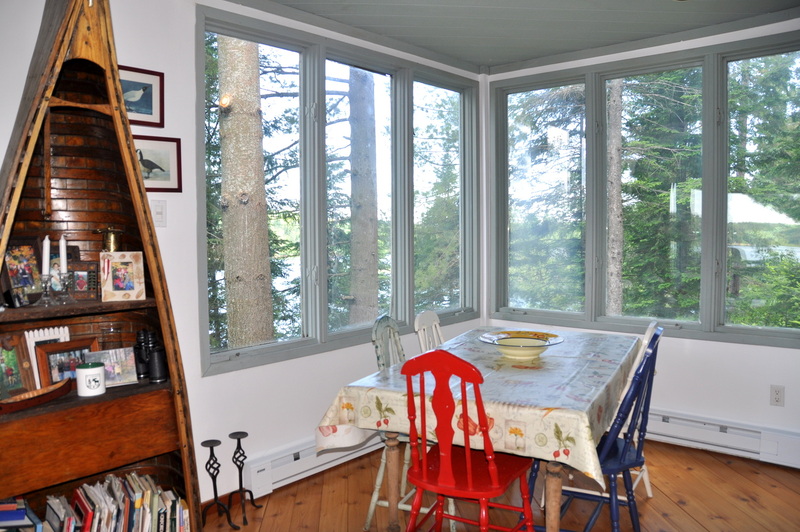 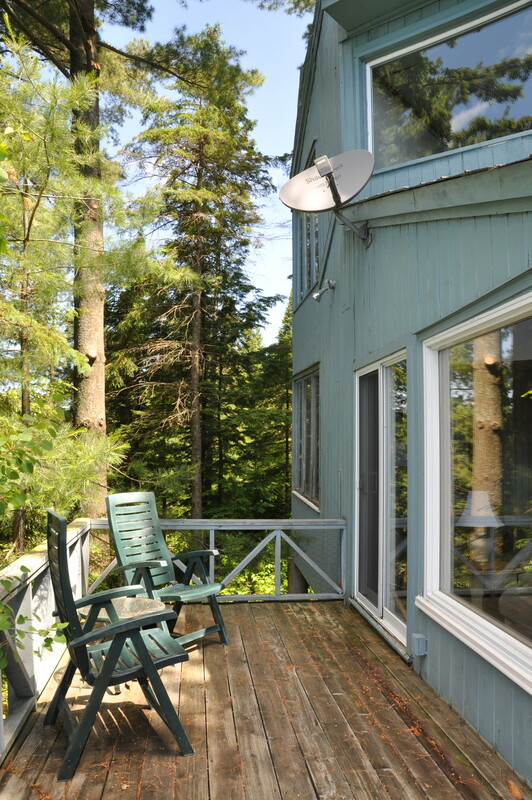 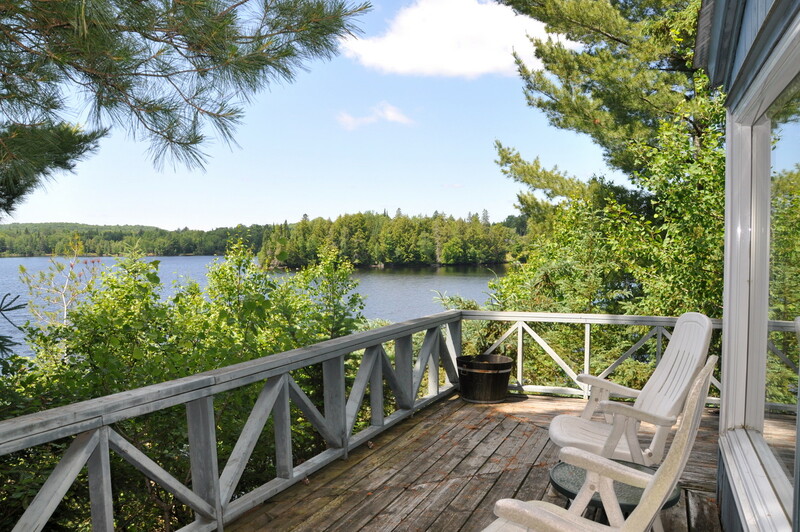 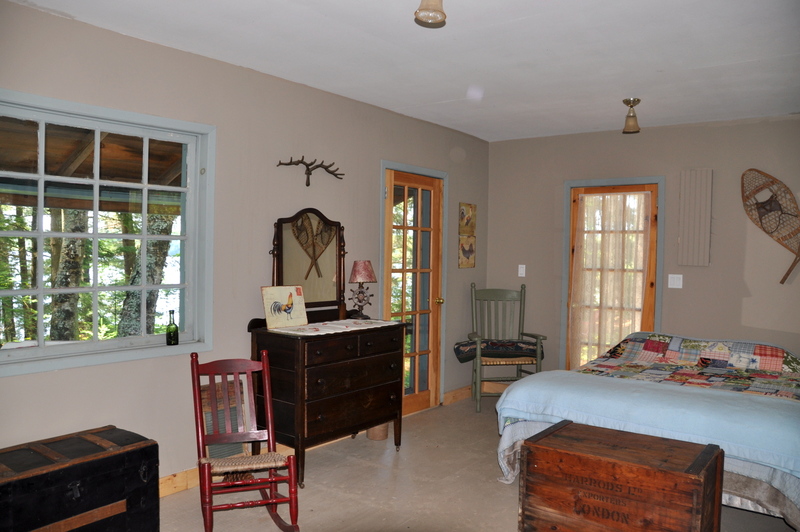 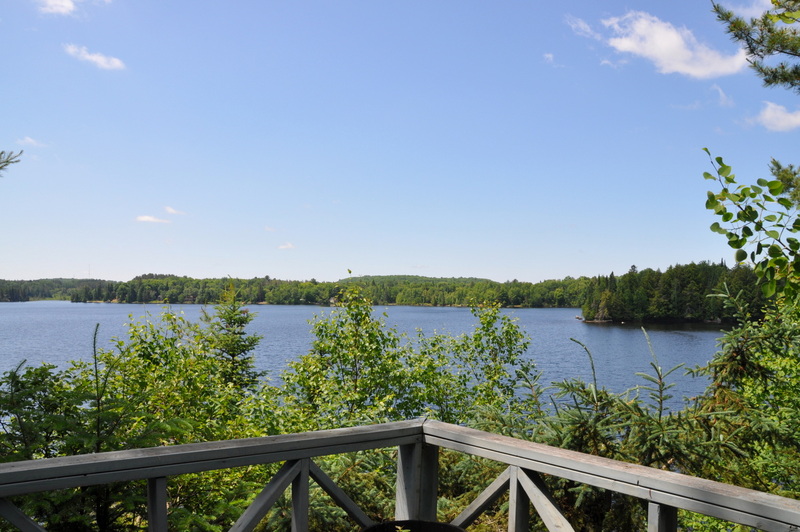 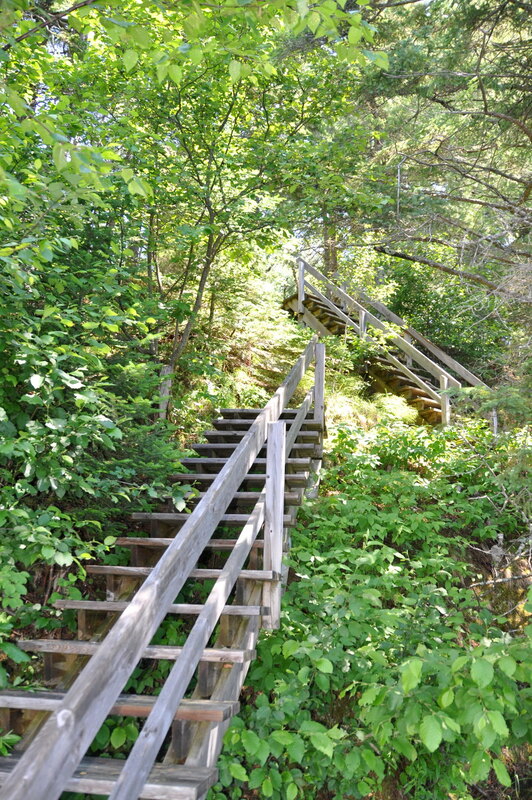 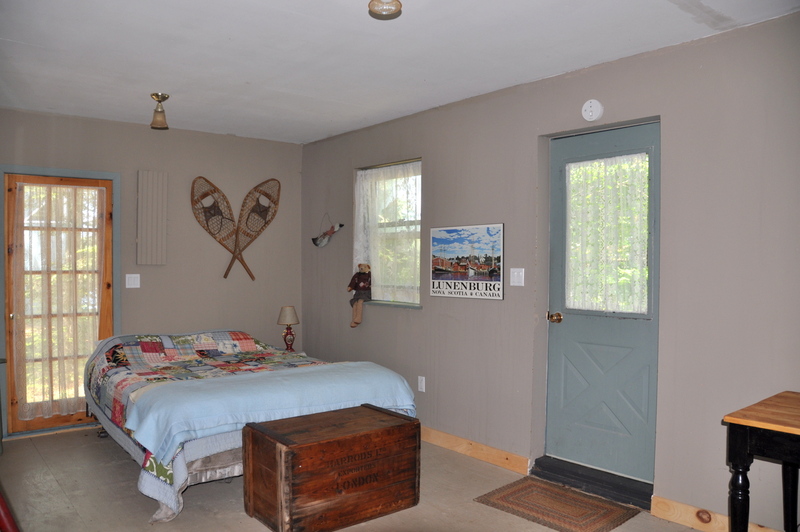 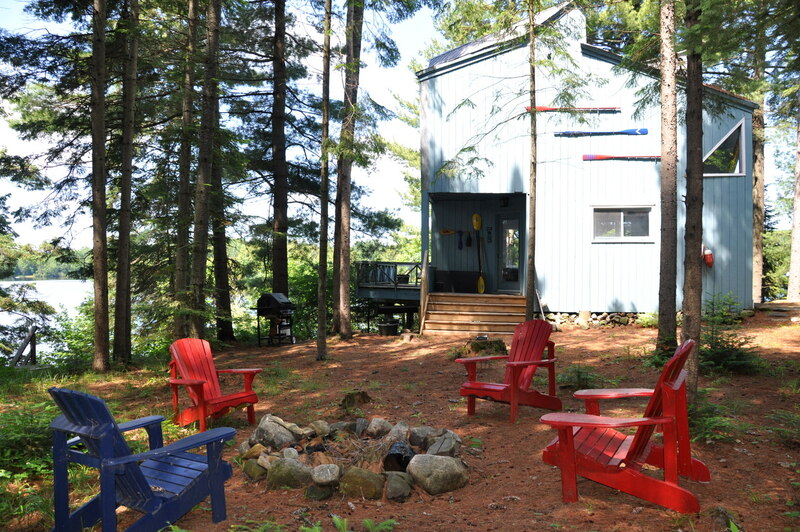 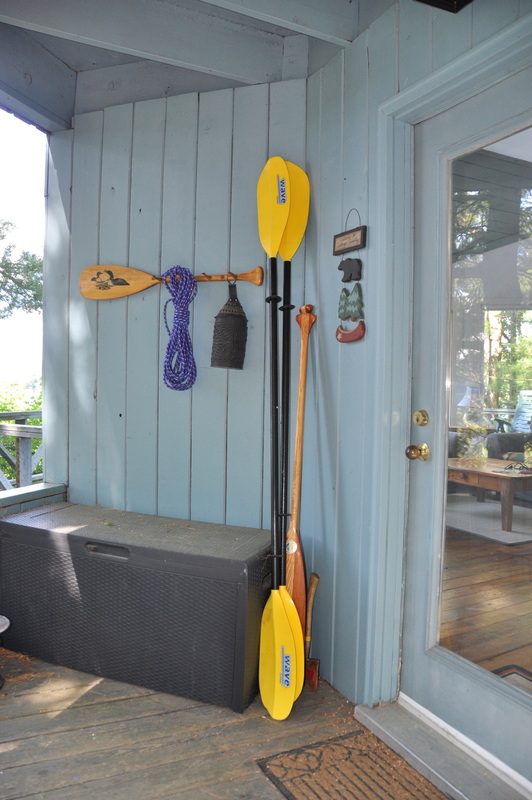 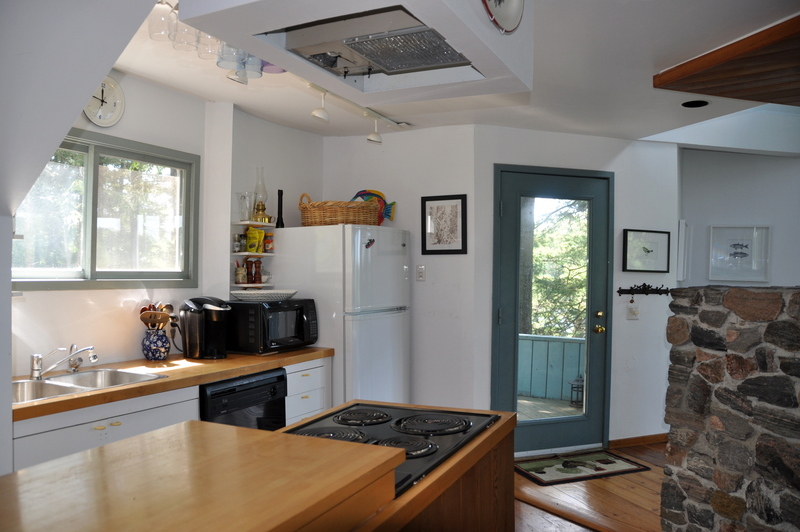 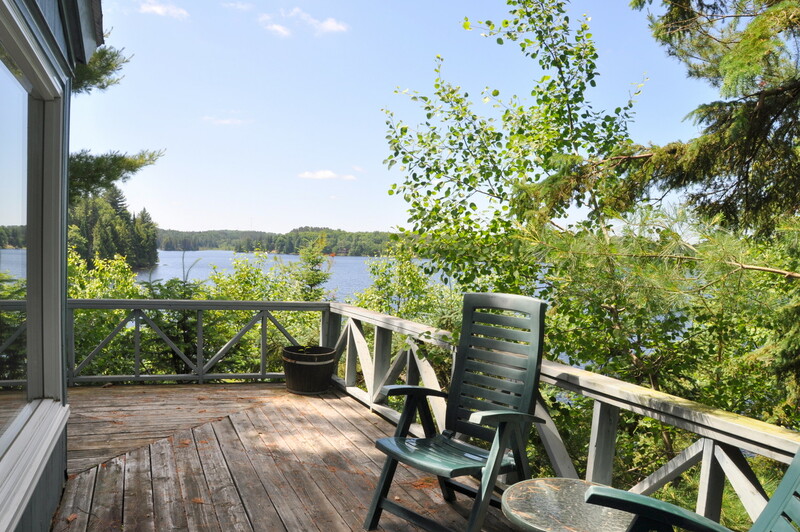 ft. 2 level one bedroom cottage and one bedroom Bunkie, perched above the tranquil shores of Perry Lake, the perfect vacation getaway for 2 couples or a family with teens! 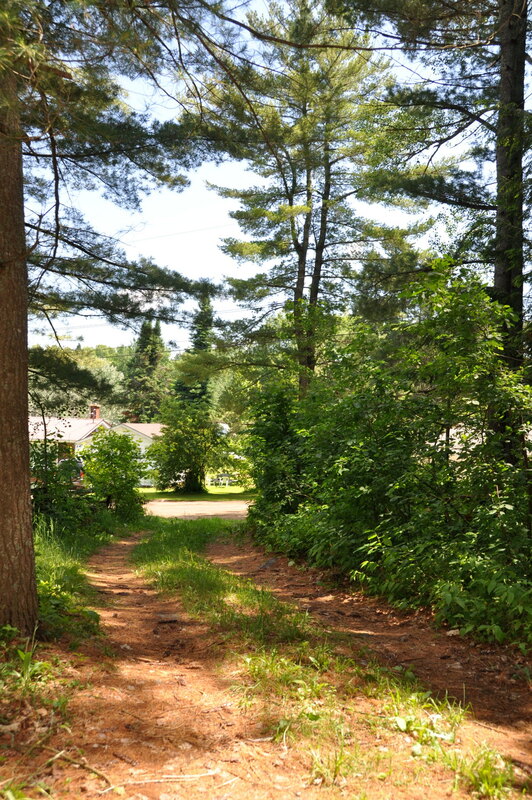 As you drive through the quaint town of Kearney and onto the quiet residential community roads, you will feel the hustle and bustle of city life slip away as you settle into this peaceful setting on over a half acre of well treed land. 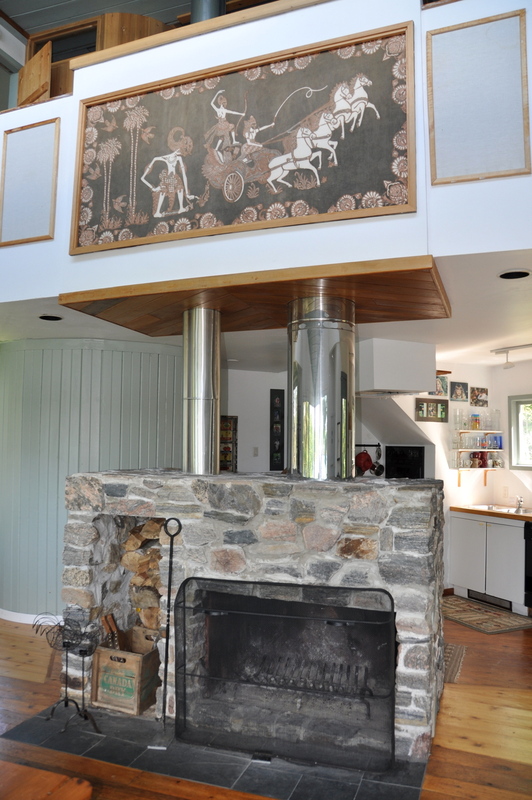 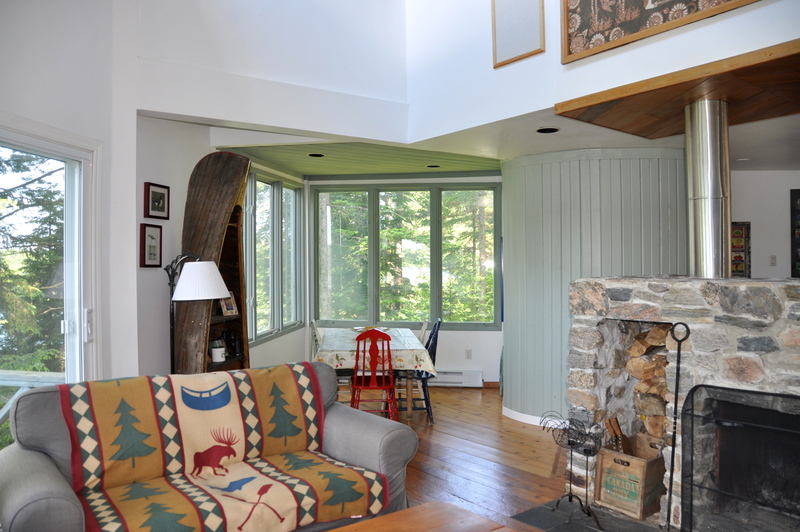 The interior of the cottage is warm and inviting with gorgeous dark wood floors contrasted against a soft teal painted pine cathedral ceiling, an abundance of large picture windows framing fabulous tree-top views of the lake and a centre piece stone wood-burning fireplace in the open concept kitchen/dining/living area. 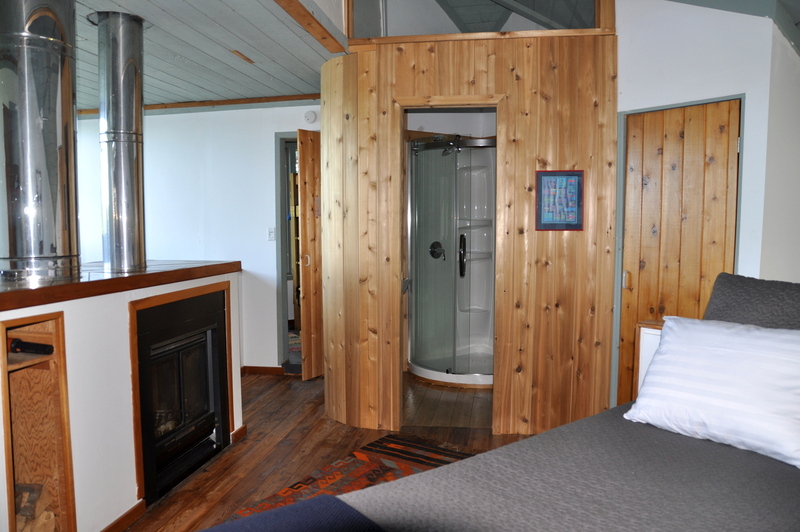 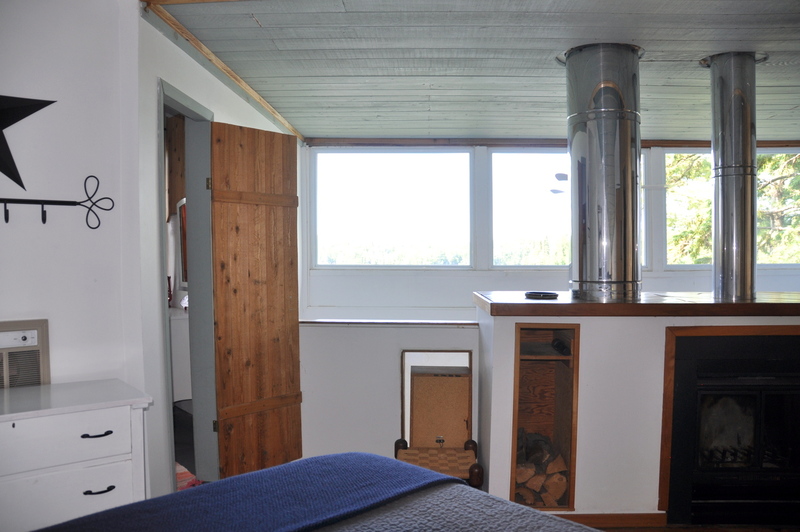 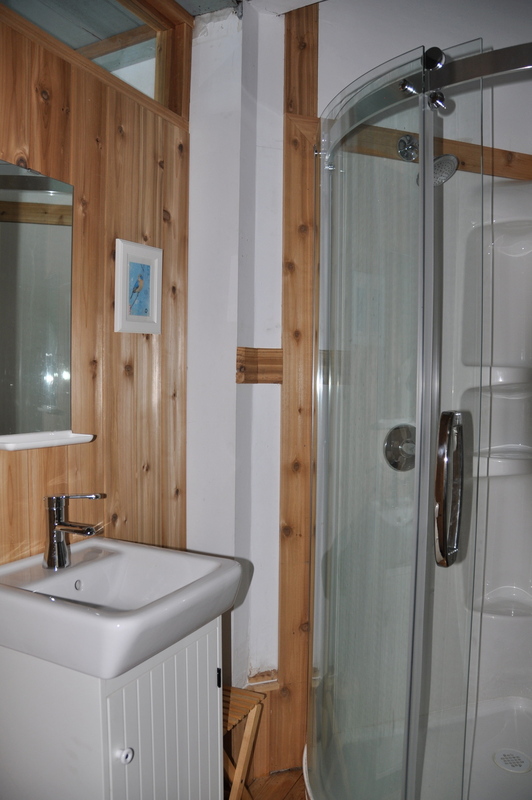 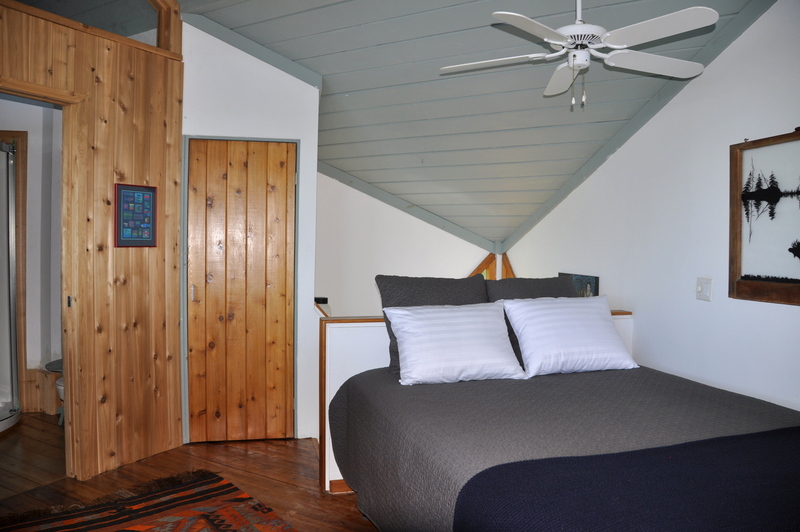 The upper level loft has a bedroom with a 3-piece ensuite bathroom and a wood-burning fireplace of its own and the nearby pristine Bunkie is a large spacious bedroom with its own covered deck. 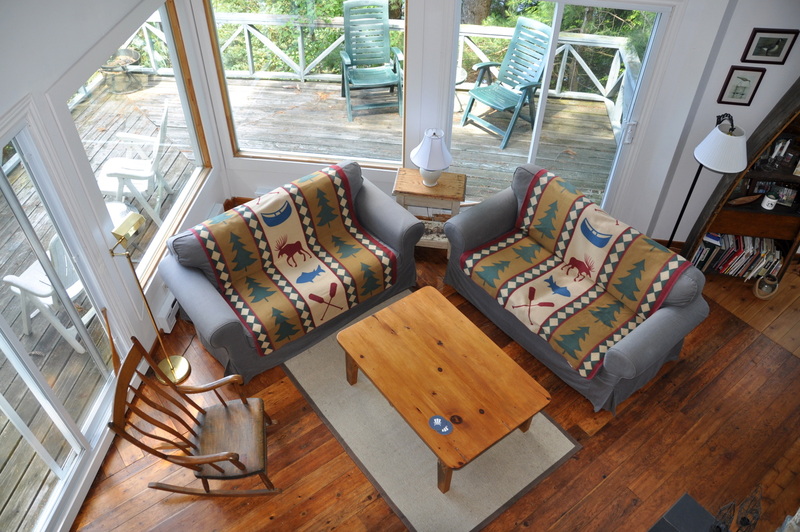 The great outdoor beckons with a multitude of choices to kick back and relax, at and on! 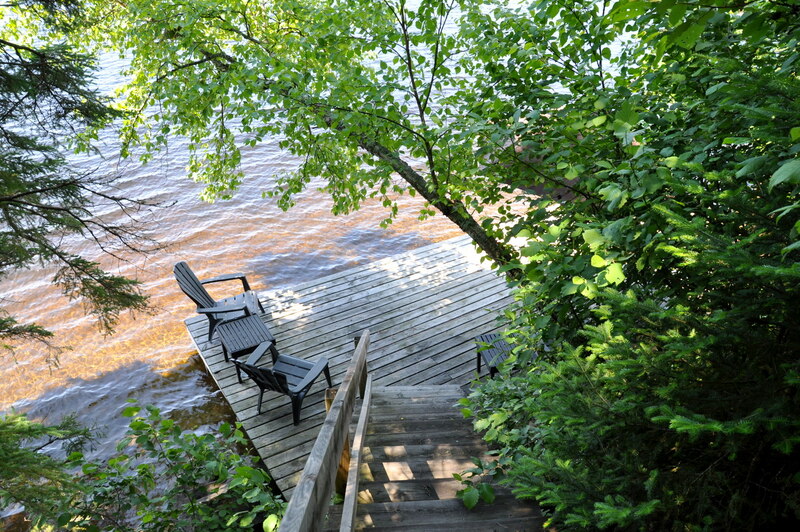 Being on a point offers a variety of views from a choice of not only a deck and dock, but 2 decks and 2 docks! 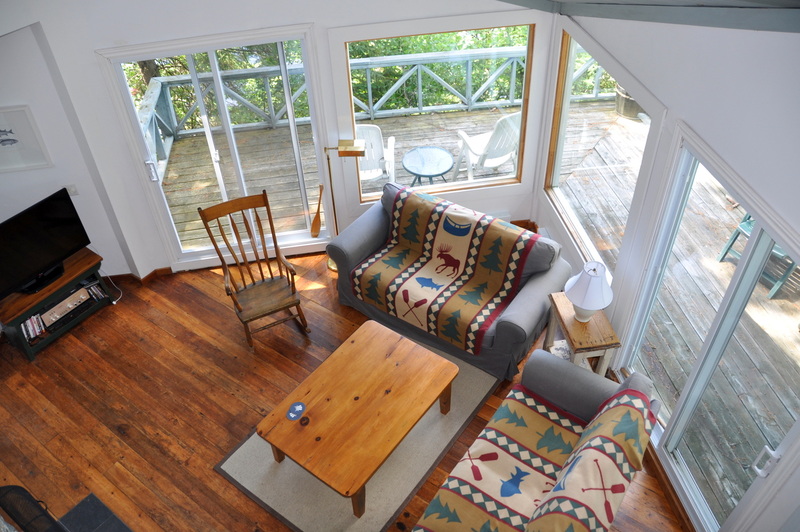 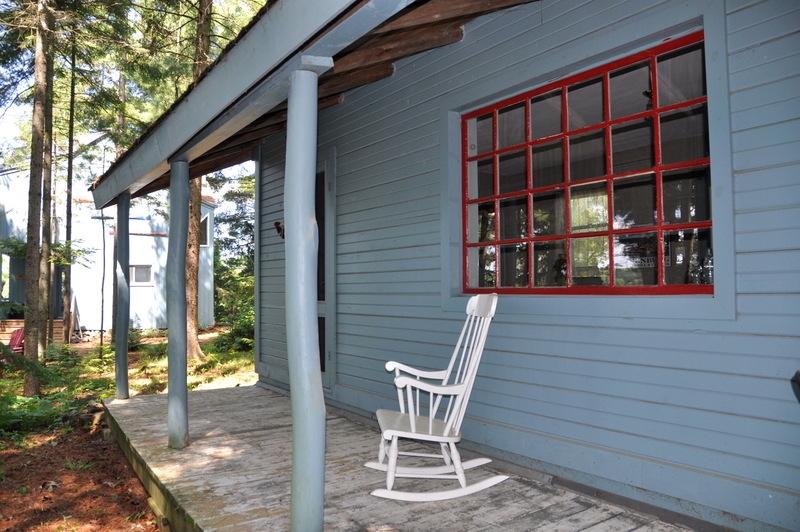 Enjoy morning coffee on the cottage deck, cool off with a long over due novel in the rocking chair on the covered Bunkie deck or head down to the two docks for more peaceful hours of rest and relaxation in either sun or shade. 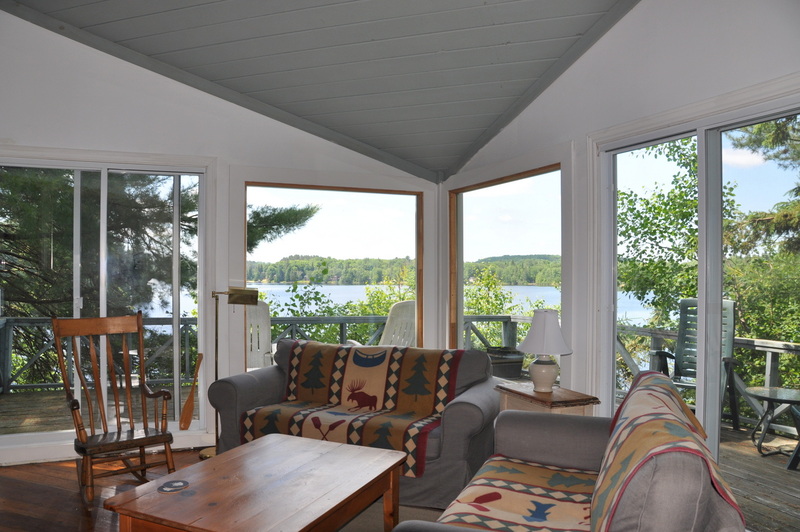 No matter where you settle into, you will be graced with stunning views of the lake from every vantage point. 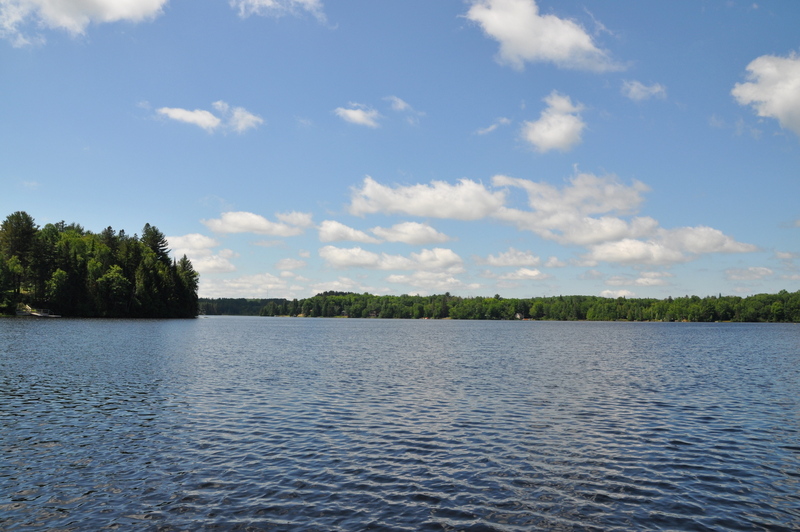 With kayaks and a canoe at your disposal you will enjoy many miles of scenic, peaceful and quiet paddling around Perry Lake and down the Magetewan river to sparsely inhabited wetlands. 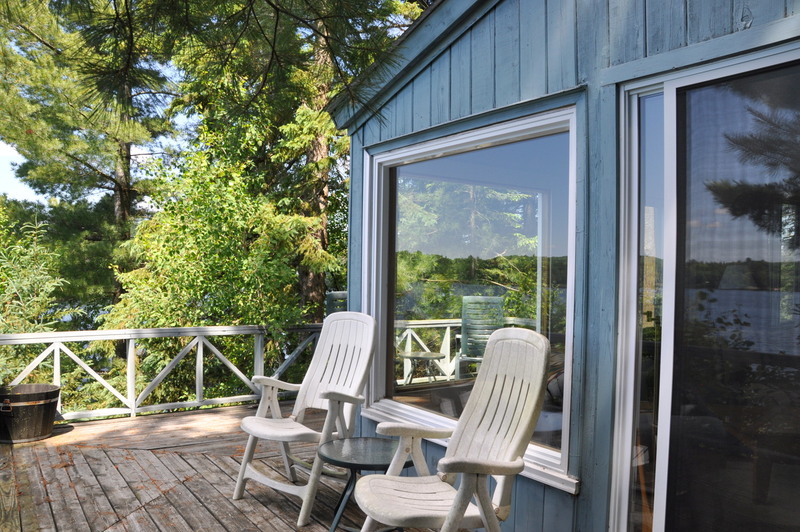 Just twenty minutes north of Muskoka, the Almaguin Highlands of Ontario features all that its neighbour to the south has to offer, but in its own unique way, this area is one of the province’s best kept secrets. 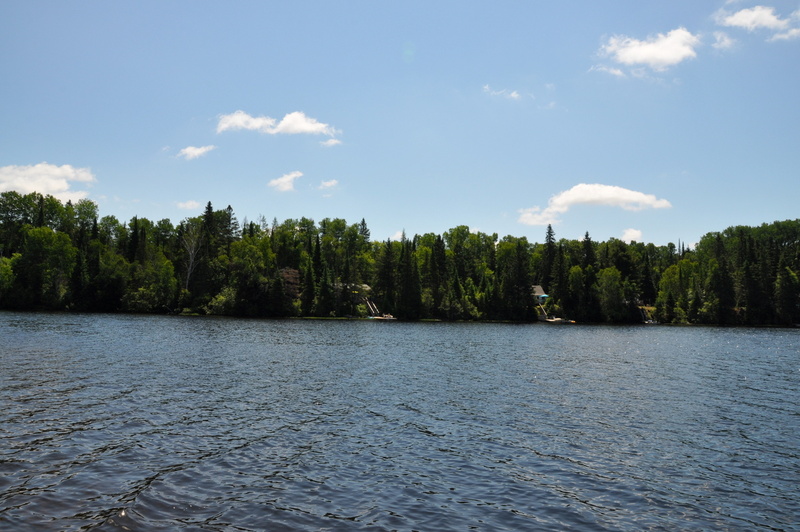 If you can tear yourself away from the cottage, take a short day trip into Kearney or a longer day trip into Algonquin Park. 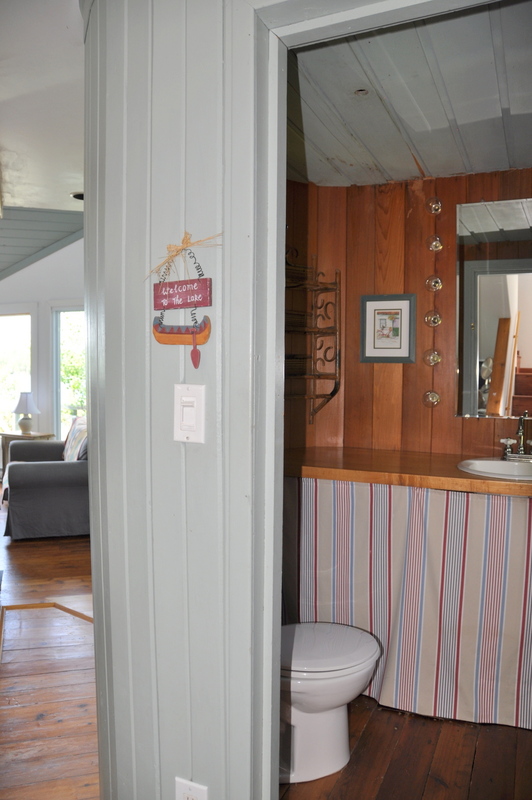 Kearney has a General store and LCBO to shop for supplies and stock up at and there is a quaint antique shop in a former church which has wonderful items from yesterday-year and country cottage decor for sale. 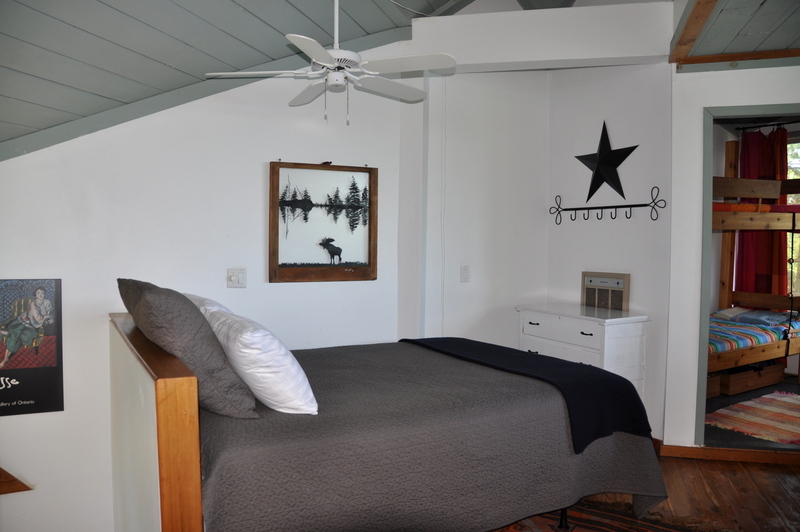 Kearney also offers a laundromat, pub, and ice cream shop as well as a great night time dinner spot at Kearney O’Neal serving delicious home-made food with wonderful ambiance at a great price. 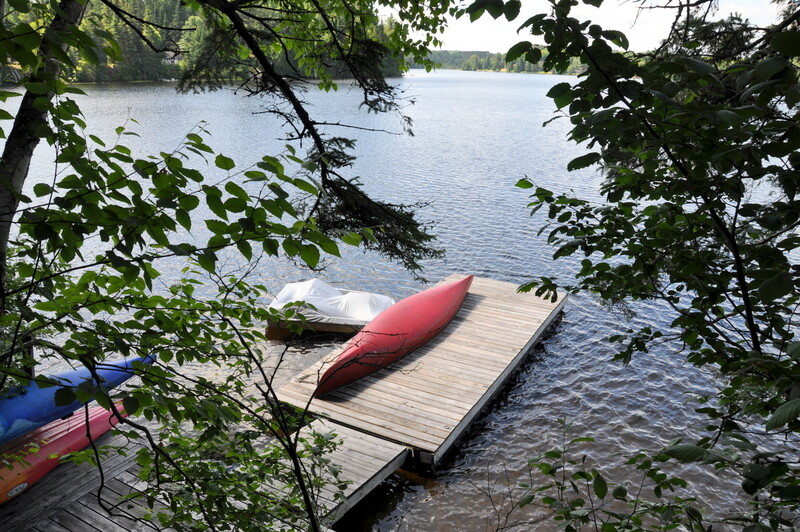 Kearney Regatta is on the August long week-end and has canoe races and cardboard box races for kids. 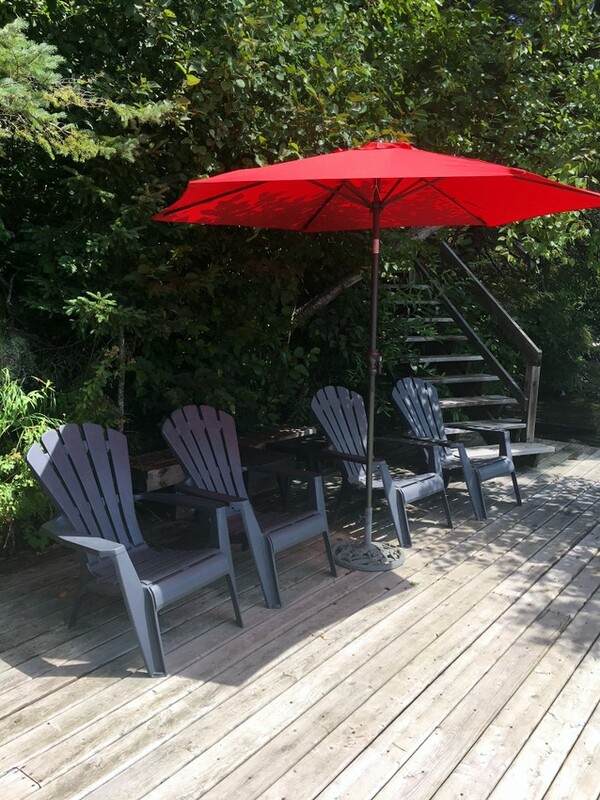 In the evening there is an impressive steel drum band playing until sundown and this is followed by truly spectacular fireworks. 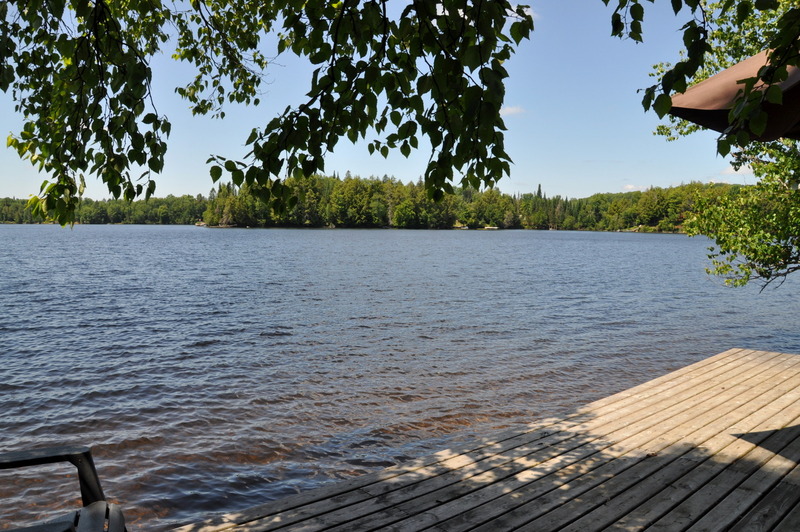 Visit Algonquin Park (via multiple westerly access points) for wonderful hikes along old abandoned train track paths or head into Burk’s Falls and marvel at the Screaming Heads art installation, recognized as one of Ontario’s unique attractions. 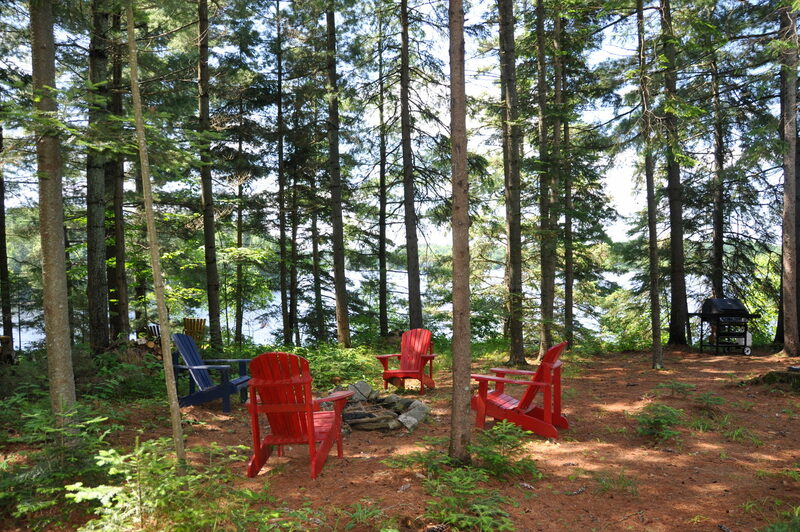 However you spend your days be sure to end them back at the cottage with a BBQ enjoying spectacular sunsets from the deck and dock followed by a campfire making s’mores while listening to the haunting call of the loons, magical! 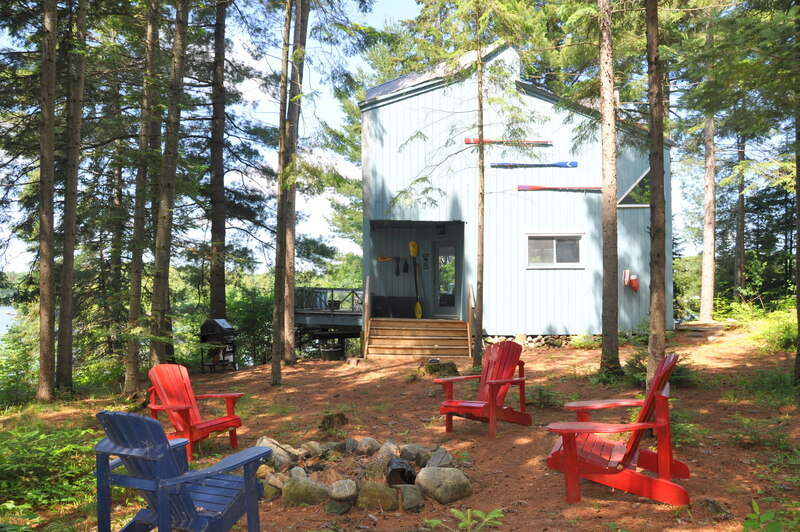 LOCATION: About 2-1/2 hrs north of Toronto. 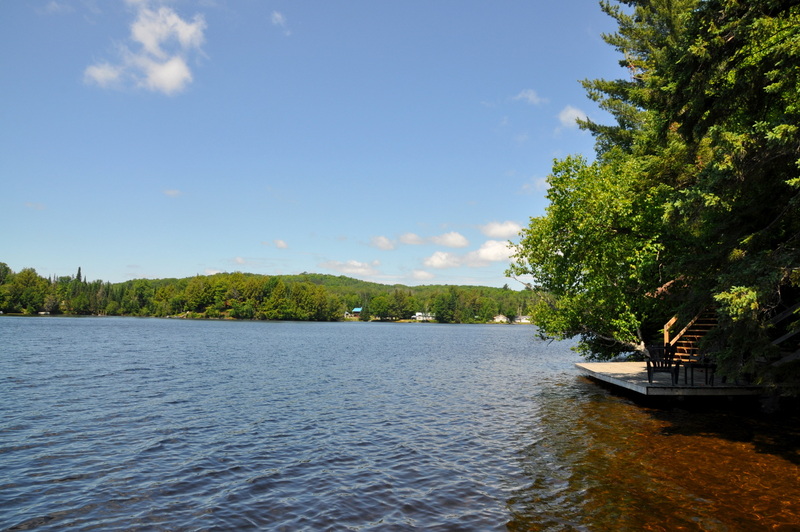 Most all amenities can be found about 30 minutes away in the town of Huntsville. 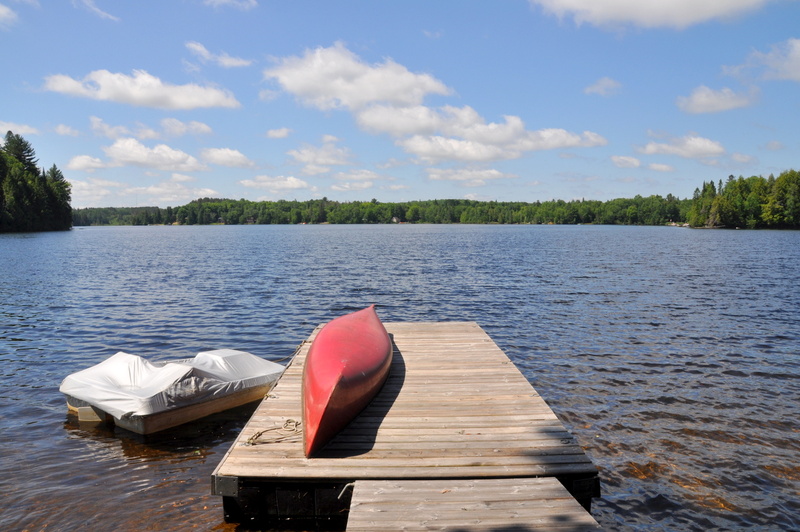 Some groceries, gas station, restaurant, LCBO, canoe & kayak rentals, and more in the village of Kearney about 10 minutes away. 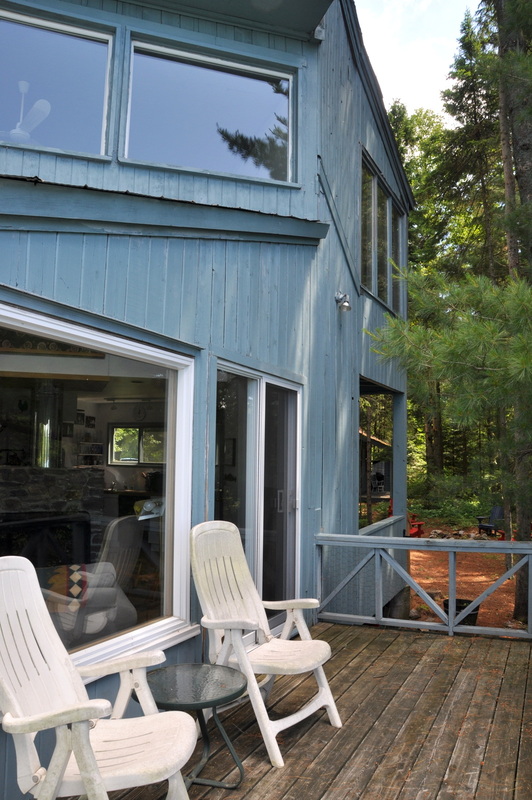 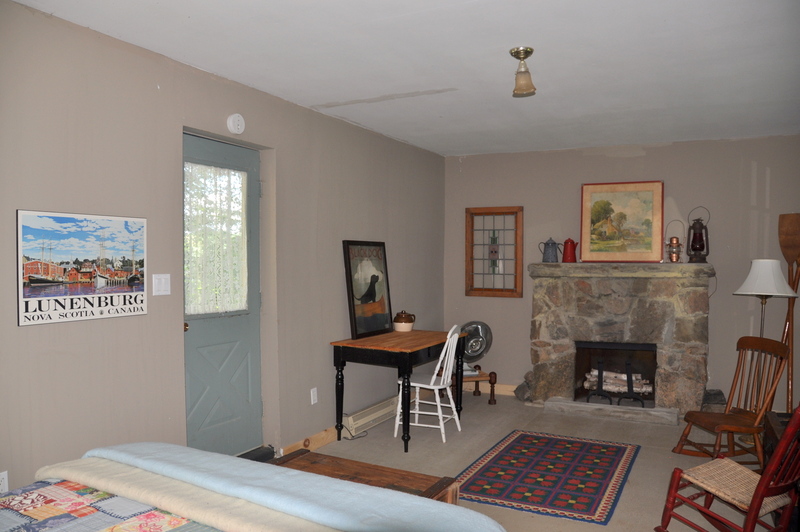 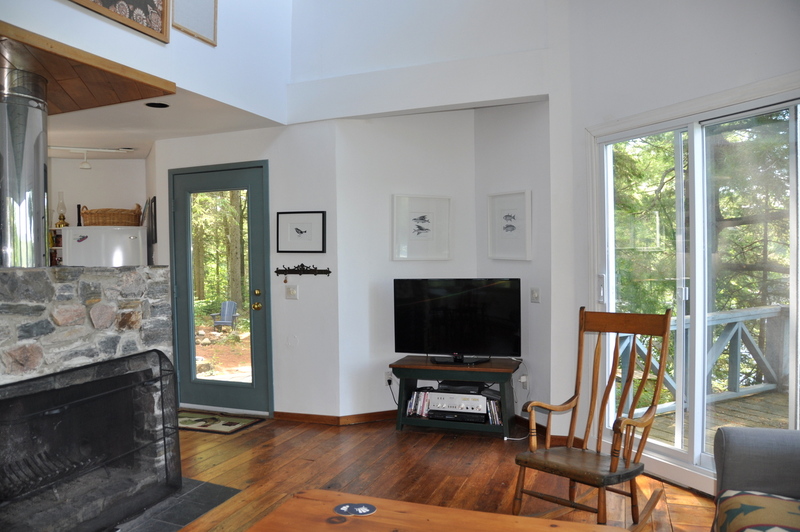 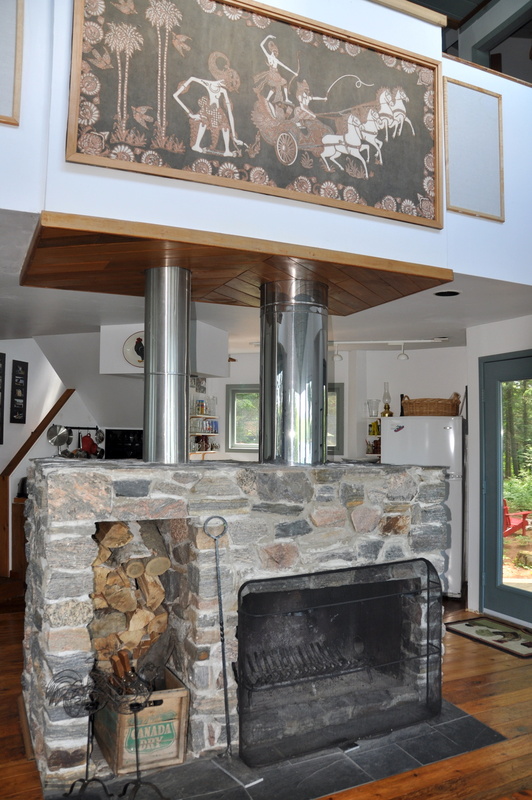 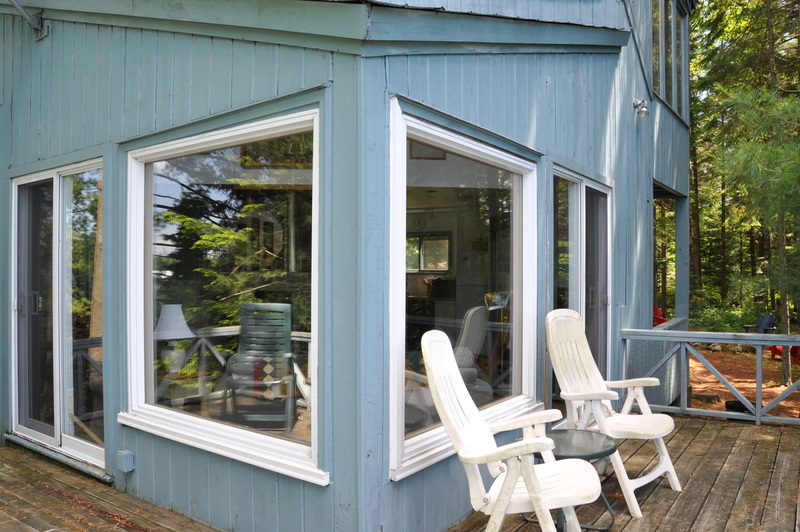 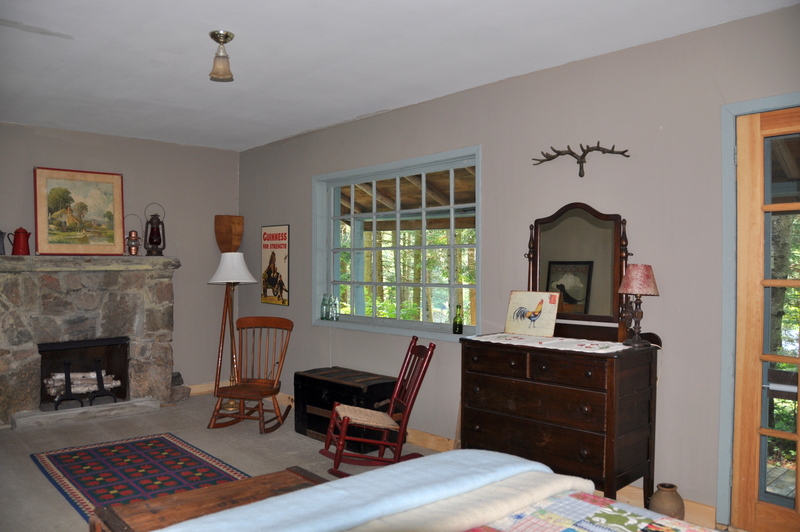 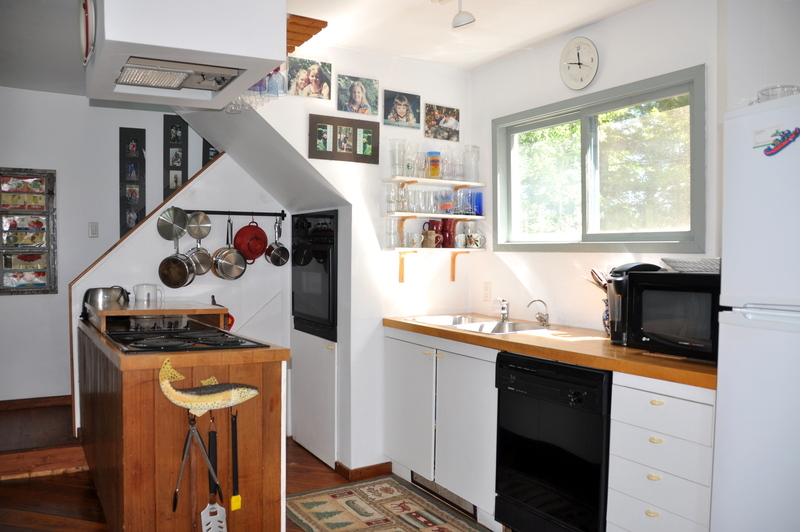 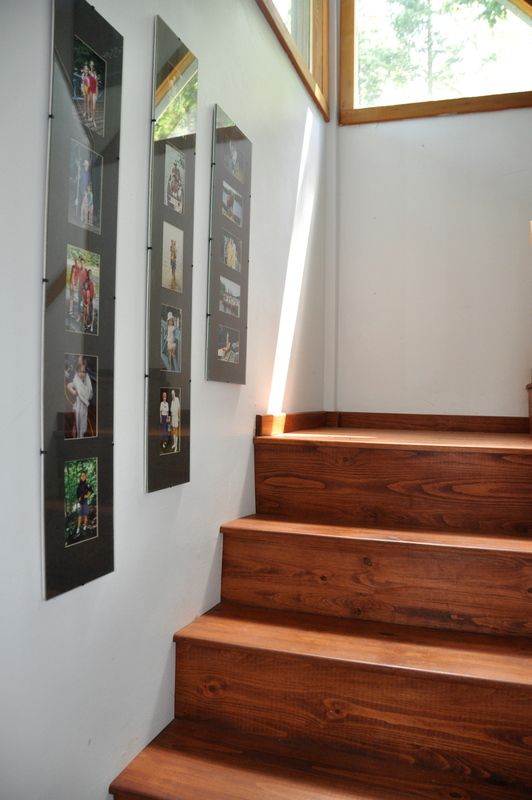 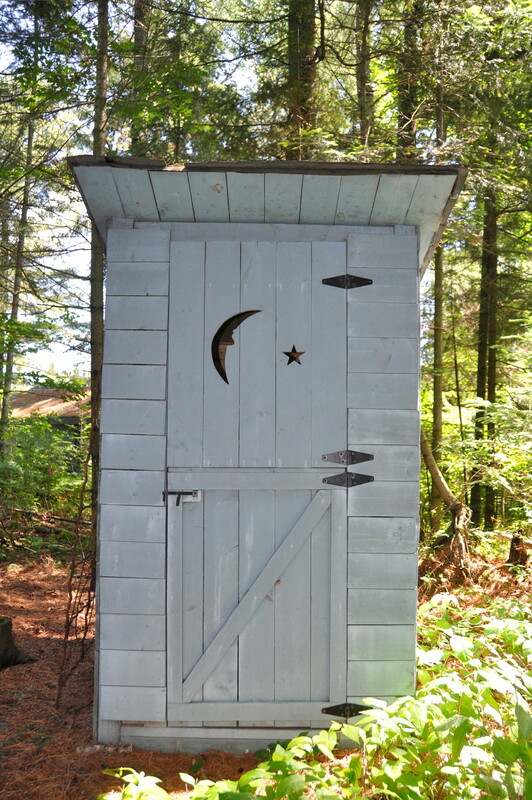 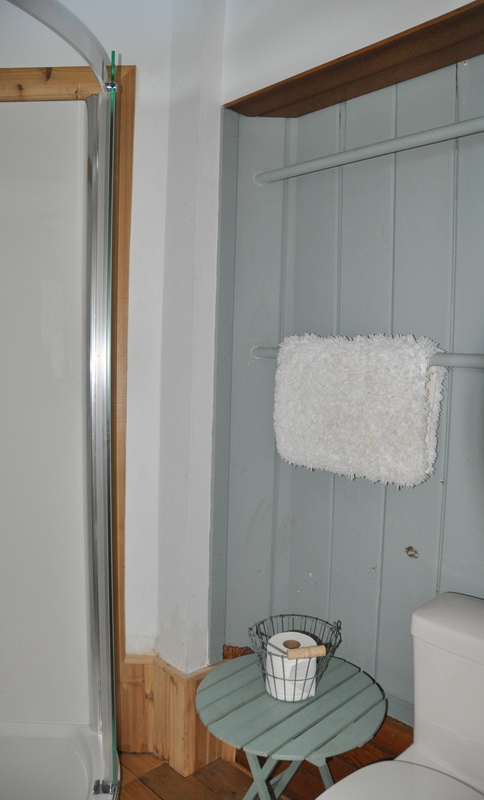 Close to Algonquin Park and many of the area's great golf courses. 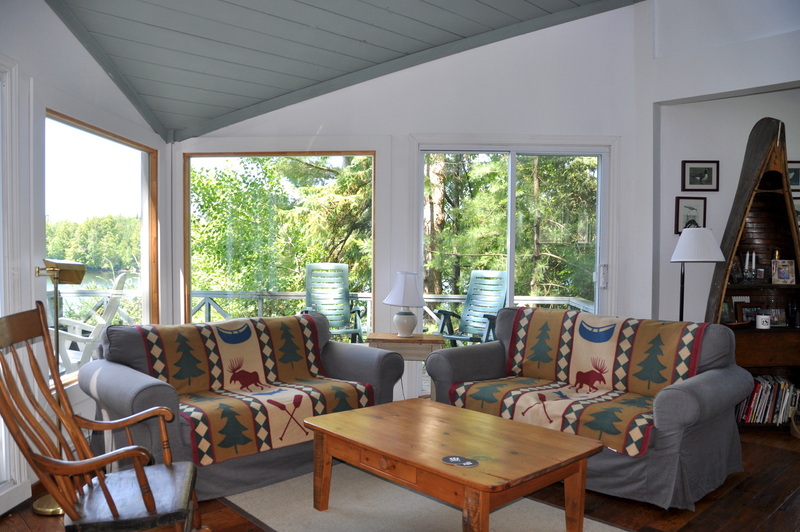 Pet upon approval of owner, no smoking, maximum number of occupants is 4, bring own linens and towels, bring own drinking water, noise restriction after 11 PM.